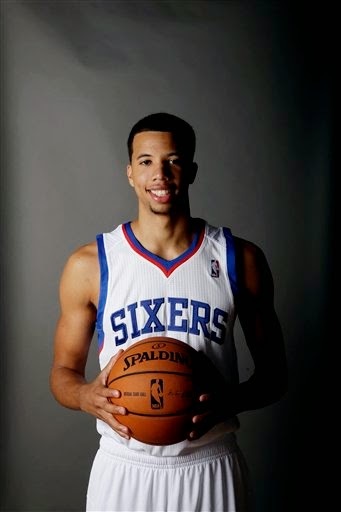 The 76ers’ Michael Carter-Williams was named Eastern Conference Rookie of the Month for April. The point guard led all rookies with 17.6 points per game, ranked third with 7.5 rebounds and fourth with 6.4 assists and 32.5 minutes. His .525 field-goal percentage was fifth-best. Carter-Williams helped the Sixers close the season with their first winning streak since Dec. 29-Jan. 4. Carter-Williams earned four of the six Rookie of the Month awards for the 2013-14 season.